Virtual Desktop Infrastructure (VDI) is critical to making the working environment digital. By now, everyone knows the benefits of adopting VDI. Allied Market Research has predicted that the VDI market would grow by about 18 percent annually from 2017 to 2023. More and more companies – including small and medium-sized ones – are opting for VDI to cut cost and boost efficiency. Thanks to advancements in technology, the transition to VDI is easier than ever, and not as expensive as it was a couple of years ago. Nonetheless, there are some key factors to consider making the process as smooth as possible. 1. Have a Clearly Defined Goal: When companies look to adopt VDI, one of the first and most important things to do is define the goal of the project. This means setting a target in terms of how many users would have access to the platform as well as what these people would be using the network for. Defining your VDI goal is essential to scale your hardware and network requirements. This is where most companies fail. If you hear that a company’s transition to VDI was unable to live up to expectations, there is a pretty good chance that they underestimated their hardware and network requirements during the testing phase. As far as VDI is concerned, it is best to overstretch rather than underestimate. So, if your IT team predicts how much bandwidth is needed to support the number of staff in your organization, use that as a yardstick, not a limit. You must ensure that your network can support higher bandwidth. Often, IT staff fail to consider everything that workers may do on a network. This can result in a slow network and ultimately affect your adoption of VDI. If you will be using a self-hosted network, this also applies to storage. Planning will help to prevent a lot of unwanted surprises and hidden operational costs coming to haunt you down the road. 2. Don’t Underestimate the Testing Phase: The journey to adopting VDI usually involves a testing phase. For most companies, only those at the top of the echelon partake in the test. I mean, it makes sense because these are the people who will ultimately decide whether the VDI transition is worth it. However, it is a big mistake which could later result in network and user experience issues. The fact is that not everyone in a company can participate in the testing phase – unless it is a very small company. At the same time, allowing only a few members of the organization partake in the testing can be dangerous. The key is to find the middle ground. Most experts suggest that a representative from each department in a company takes part in the VDI testing phase. This way, there is an understanding of how the transition would affect each department. Also, these representatives would be able to guide their colleagues through the onboarding process. Another thing to keep in mind is not to rush the migration to VDI. Mass migration is always a bad idea. Instead, it should be done systematically. This could involve moving small batches of users to the platform and analyzing its performance before migrating more users. 3. Always Prioritize User Experience: The primary goal of adopting VDI is to enhance user experience and in the process boosting workplace productivity. Therefore, it is counterproductive if users are faced with a lot of problems while migrating to VDI. Users would naturally have high expectations for VDI, and you must work to meet these expectations. This means preventing lags on the network, ensuring a seamless transition from device-to-device and more. For the most part, user experience doesn’t only involve your network capacity, but also how users are trained and educated about the VDI platform. For most people who aren’t tech savvy, VDI may seem like a complex, new idea. However, they must be educated that it is not very different from most client-server platforms – only much better. One way to provide excellent user experience is to ensure the VDI platform can support the same applications that your users employ for their work. Also, they must be able to access the network with their devices. File collaboration platforms for VDI like FileCloud support most end-point devices. 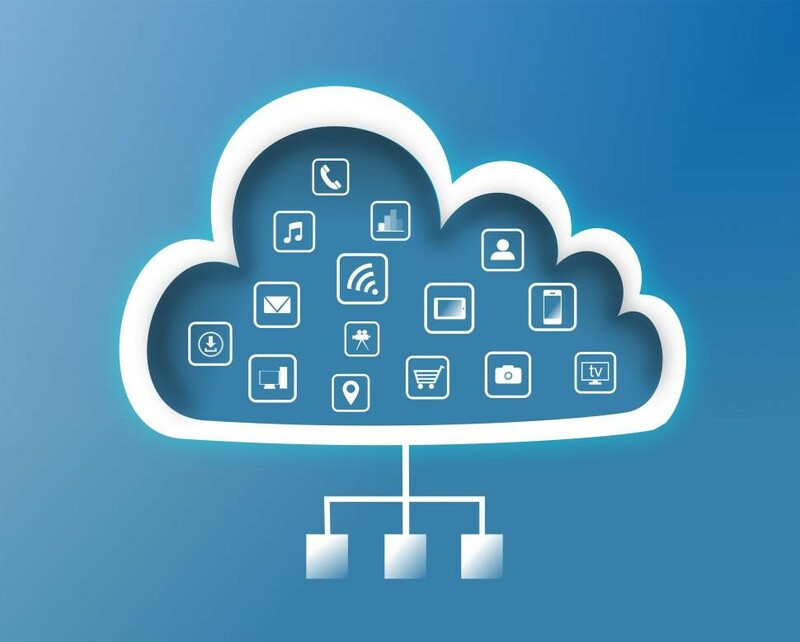 FileCloud also provides a range of tools to promote collaboration over its network. This goes a long way to improve user experience. 4. Don’t Hesitate to Get Help From VDI Experts: While most companies would love their in-house IT team to handle everything technology-related, this is not always the case. It pays to open the door for VDI experts to assist your in-house team through the process. This does not only limit the possibilities of errors during the deployment and transition to VDI, but it also eliminates the possibility of unnecessary delays. You cannot go wrong with consulting a VDI expert. Apart from helping with the technical aspects of VDI technology, the VDI expert could also help educate your users about the new network and also highlight potential issues that you may have to deal with down the road. FileCloud provides full support to clients during the VDI and file collaboration solution implementation phase. It is also a good idea to have members of your IT team undertake a training course in VDI. That way, they’d be in a better position to guide your company through the entire process of adopting VDI with or without the assistance of external VDI experts. • Assessing the possible security implications of opting for VDI. • Taking the time to test the network before migrating your users. • Choosing the right tools to troubleshoot and maintain your VDI network. • Evaluating how the transition to VDI will affect the process of managing employees in your workplace. There is no question that VDI has the potential to redefine the working environment completely. However, taking the time to look into all the factors listed above can go a long way to guarantee a successful transition, cut out unforeseen costs, reduce the complexity of the process and prevent a lot of issues that may spring up. It is 2019, and this is the best time to migrate to VDI if you haven’t done so already. Tech tip: How to do hard refresh in Chrome, Firefox and IE? How to find what application is listening on a TCP/IP port in windows using netstat? What is PII and PHI? Why is it Important?